Oh hey there my lovelies! Once again I’m sorry my post is late but I’m sure it’s not an issue yet! 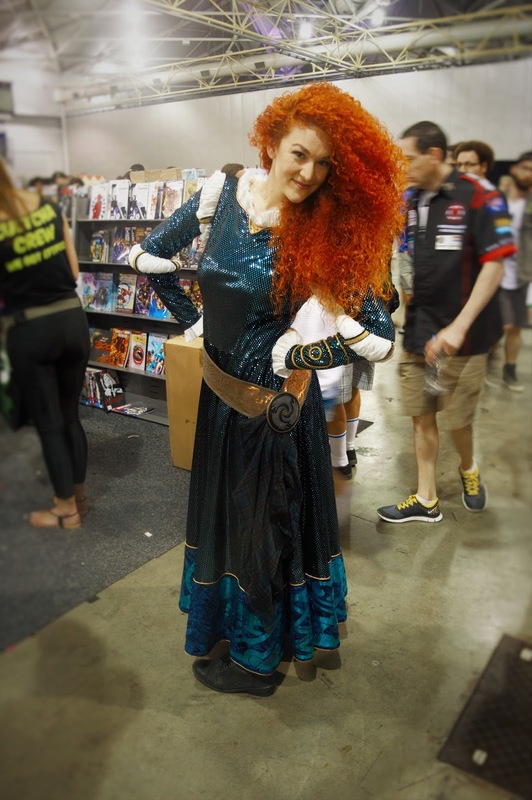 Last night we had some wonderful friends visit (Cara and Scott) and we decided to have them stay the night and so no blog got posted, but here I am today, well more tonight to enlighten you all on the wonderful happenings of supanova! Also, Cara writes a blog too! Go check it out! First and foremost, I survived!!! It was close but I didn’t die! The heat didn’t melt me and the people in close proximity didn’t make me want to crawl into a ball..
Lots happened in those three days so where do I start? Friday was hot and I mean ridiculous QLD summer heat hot and I had decided to wear a bodysuit, way to go Brittanie! It was worth it though, I got asked for a few photos and everyone was so nice. Luckily it was fairly dead Friday afternoon so their wasn’t a ridiculous amount of people! I’m not going to go into detail about how gross it was wearing a bodysuit in that sort of heat, I’ll just let your imagination wonder! However by the time I got back to the resort I can tell you I was super glad we had left the air con on and a cold shower was a must! Saturday was yet another brilliant day, although I had organised a few shoots with some wonderful cosplayers, they never eventuated; this was disappointing but I managed to get some nice pictures anyhow. It took a while for me to be able to walk up to someone and ask for a photo, it’s not as easy as it looks when you are awkward and shy! Feel free to head on over to my Facebook Page check them out, like and share if you’d like but remember to credit me! Saturday was a full on day for us, and super exciting because we were lucky enough to meet Michael Rosenbaum who plays Lex Luthor in the Smallville series which is one of my favourites! He was such a nice guy, super funny too! After finishing our awfully exhausting day 2 at Brisnova, we had organised to go out to dinner and see the last Hunger Games movie with Cara and Scott which was so much fun even though I was dead tired! It was so nice to just walk around South Brisbane with a few friends and chat! Probably would have been the highlight of my trip! Dinner was delicious and the movie was good, not as action packed as I was expecting but definitely a good movie! But my favourite part of the night would have definitely been walking from the restaurant to the cinema through the parklands! So gorgeous! So thank you Cara and Scott for such an incredible night! Although I was super tired on Sunday, it was probably my favourite day of Brisnova, purely for the fact that we met Matt Nable, had a photograph with him and a photograph with Michael Rosenbaum! Also it was a bit easier at this stage to ask people for photos so I got a lot more photos on Sunday, not as many as I would have liked though! Unfortunately half way through the day my camera died, I hadn’t even thought to charge it the night before, luckily for me we had driven to the event on Sunday so we raced down to the car got my charger and found a power point to charge it at allowing me to take a few more photos before heading home. By the time 2pm rolled round we were definitely ready to head home, after having such an incredibly weekend it was super sad to leave Brisbane but I do love home! Anyway guys, I guess I’ll leave it there! Hope you somewhat enjoyed it!